Samsung recently announced the Exynos Auto V9, the company’s first auto-branded processor. 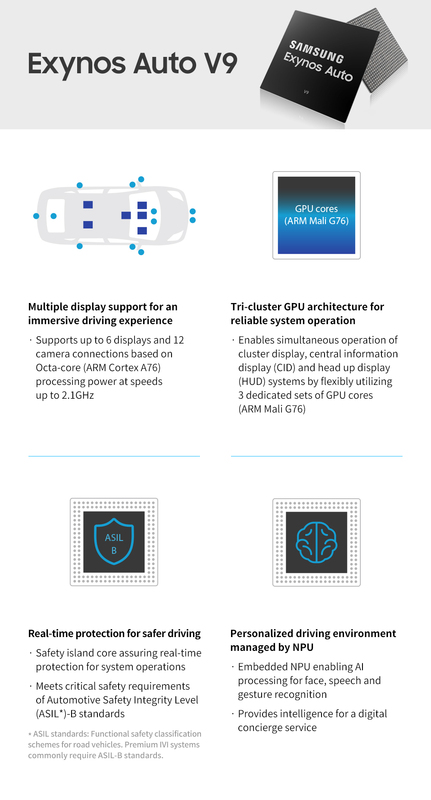 The latest Exynos processor will be equipped in the in-vehicle infotainment (IVI) systems of tomorrow, ushering in an era of safer and more enjoyable driving experiences. But the Exynos Auto V9 goes beyond just powerful processing performance. Find out more in the infographic below.